This post is an update to the February, 2012 Presidents Day resource post. 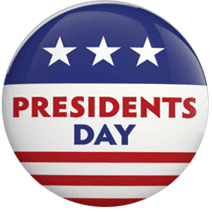 GTSD teachers and students looking for print resources on Presidents Day and the men who held the office will find stories, biographies, and other informational texts in the GES and SMS Media Centers. Browse the catalogs and let the library staff know what they can reserve for you or your class. Staff are invited to contact Mrs. Bond for assistance in using these resources or locating additional materials.